London: -47 1743 - 47 x 37.5 cm. Uncoloured. Folding page chart concentrating on St. George's Channel and the Irish Sea. 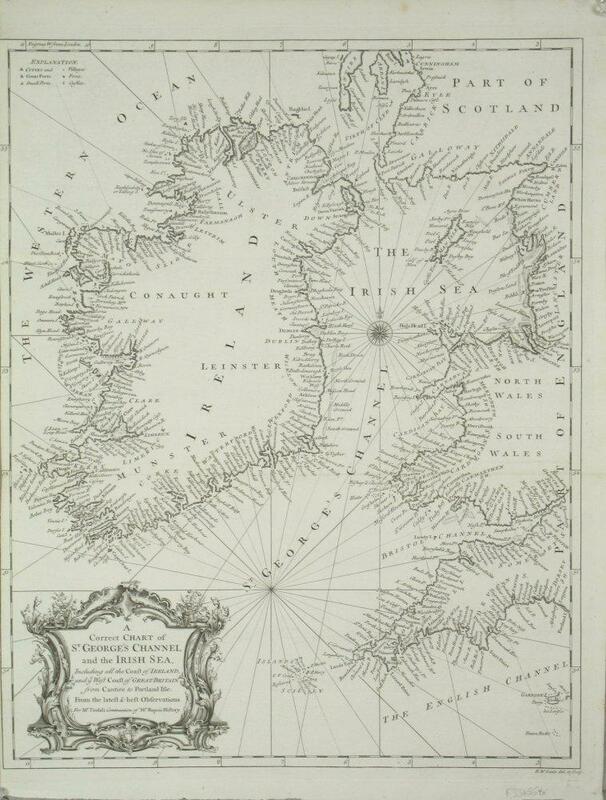 The map also includes the west coast of Britain and all of Ireland. Left margin shaved unevenly with some minor loss to border. Two very neat repairs at this same edge, otherwise in good condition.